Amy Strunk began her work as a landscape designer when she was just fifteen years old at Merrifield Garden Center in Northern Virginia. At Merrifield, Amy moved from cashiering to working in the Perennials Department and then the Trees & Shrubs Department. Eventually, the award-winning garden center took her on as a designer. 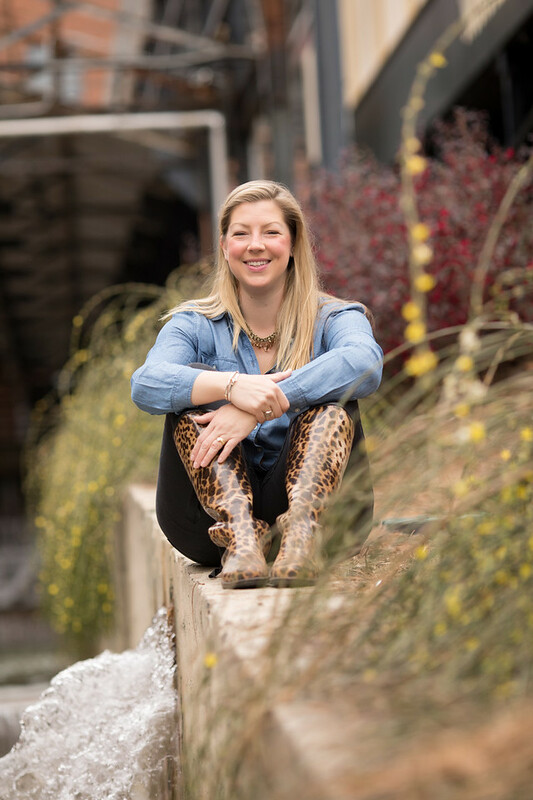 Though her first post-college career path was in event planning, Amy quickly realized that her true passion was rooted in the work she did at Merrifield; she went on to complete an advanced degree in sustainable landscape design. By the time she began a design firm of her own, she’d been working at Merrifield for eighteen years. Now, Amy is happily serving her own clients in the Chapel Hill area. When she’s not hard at work designing for a client, you may find Amy at work in her own backyard, sharing the treasures of her eclectic garden with her son Graham and her daughter Finley. The outdoor space surrounding Amy’s home reflects the graceful balance she creates for her clients – sustainable design that is generous with both beauty and the comforts of home. Amy holds a Master of Professional Studies in Landscape Design and Sustainable Landscapes from George Washington University and a Bachelor of Arts in Communications from The College of Charleston. Amy doesn’t create high-maintenance landscapes; instead, she creates engaging spaces where families can live and play comfortably all year round. Like Amy herself, Amy’s design philosophy isn’t fussy. Her main tenets? Have fun, create beauty, give back to the environment, and make it personal. Amy doesn’t create high-maintenance landscapes; instead, she creates engaging spaces where families can live and play comfortably all year round. And because Amy’s client base is diverse, so is her portfolio. Instead of subscribing to one principle of design, Amy believes in designing for individuals and their families. Her landscapes are as unique as the families she designs them for.